While I don't quite understand and appreciate the thermal bathes, there are a lot of people who do and I thought it would be interesting to learn about its history and how it came to be. 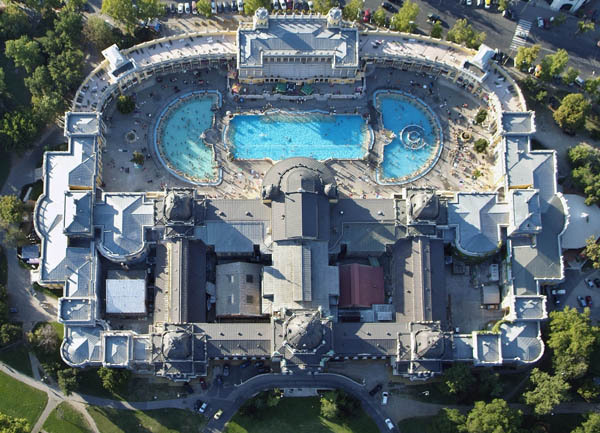 Széchenyi Thermal Bathes is the first thermal bath of Pest built in 1913. With the 3 renovations that have taken place, with the last renovation being completed in 1999 which added the whirling corridor, neck showers, water beam back massage and more, it is one of the largest spa complexes in Europe. The water comes from Saint Stephen Well Nr.II commissioned in 1938. The hot spring water contains lithium, sodium, potassium, calcium, and more. 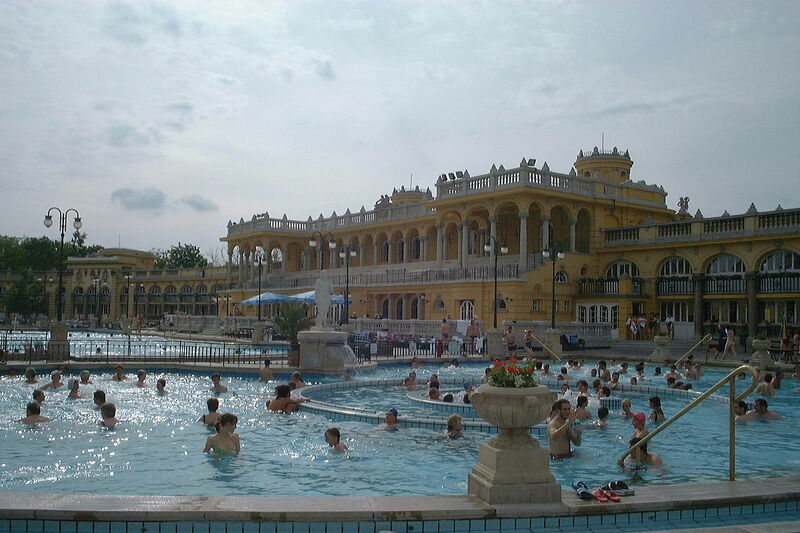 It also supposedly helps with degenerative joint diseases, chronic and sub-acute arthritis, orthopedic and post-accident treatments and more (Szechenyi Bath Water Composition and Therapeutic Uses). The bathes are divided into two sections, indoors and outdoors. 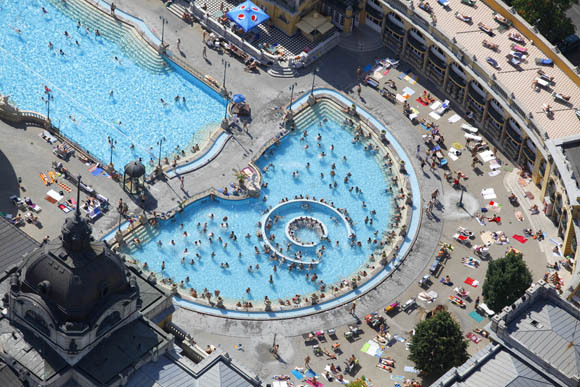 Indoors, there are 11 thermal water pools ranging from 28 C - 40 C, 1 cooling pool at 20 C, and 1 immersion pool at 18 C. Outdoors, there are 2 immersion pools at 18 C, 1 swimming pool at 26 C - 28 C which is 50 meters long, 1 activity pool at 30 C - 34 C, and 1 thermal water pool at 38 C.
As of January, 2015, the base price which includes a locker, entry and no time limitation is 4,500 Ft on weekdays and 4,700 Ft on weekends and holidays. There are cheaper options but limit when you can go (for example, 6:00 am - 8:00 am), you can find the details here (prices). To get here, simply get off at Széchenyi fürdő on the M1 (yellow) line. It is also just a short 5 minute walk from the Heroe's Square for reference.